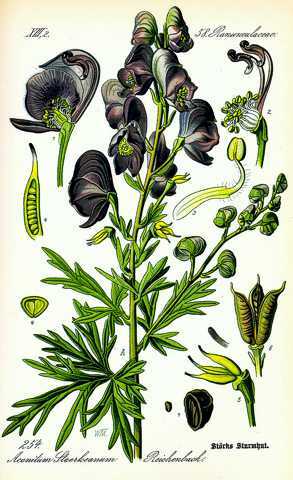 There are over 250 species and many more varieties, that are also know as aconite, monkshood, wolfsbane, leopard's bane, women's bane, Devil's helmet or blue rocket, Fibrous and tuberous perennials belong to Ranunculaceae, the Buttercup family. They do best in cool moisture retentive soils that are well drained. Monkhoods are native to meadows of Europe and East Asia. Most grow 3 to 4 feet tall but some species and selections can be over 6 feet tall. The large, hooded flowers are typically rich violet-blue, but some species are yellow flowering trailing or scrambling plants, the blue to purple colored flowering plants may have white or pinkish flowering forms. 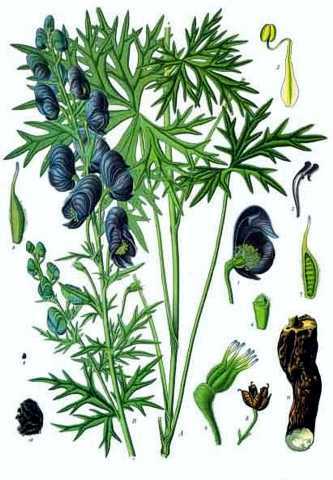 A number of species of Aconitum have long been used as poisons and medicines, and some are still used in traditional medicines of India, China, and Japan. The root is the most toxic, but all parts of the plants are toxic, containing the alkaloid aconitine or similar alkaloids. 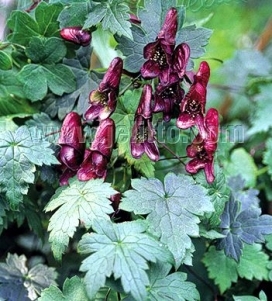 Aconitine's ingestion may produce a burning or tingling sensation of the lips, tongue, mouth, and throat almost immediately following ingestion, do not eat, There have been very few cases of poisoning reported and those that do exist have resulted from the use of Aconitum herbal medicines. 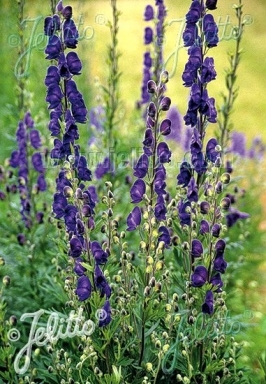 Most species of Monkshood prefer some shade at the bottom of the plants to keep the soil cool and some sun at the top. Fresh seed germinates easily enough, if sown soon after collection seeds often germinate in 4 weeks at 55-65F; stored seeds develop dormancy that often needs months of cold moist conditions to break. Seeds can be sown any time of the year but warm conditions will delay seed germination often. Keep seed trays for two years and over winter out side if you do not have good results the first time around. The seedling should be grown in moist, but well-drained, fertile soil in sun or partial shade. Established plants can be divided every 2nd or 3rd year to promote more vigorous growth and increase stands. Good cut flowers but POISOINOUS, the plants should not be grown were the roots might be accidentally mixed in with food crops. Aconitum napellus blooms mid summer while many of the others bloom late summer and fall. The fall blooming plants should be watered in late summer if it becomes dry, other wise less flowering occurs. The seeds are large enough that they can be handled and sown with out difficulty. The Seedlings may flower the second or third year.